Woot! Maerose here. Winter in Norway is soon over! *cross fingers* Don’t get me wrong. I love winter — the thick, fluffy snow and the cozy ambiance and all! But I’m still a summer person, thanks to my beloved Philippines. ❤ So, before I put all my winter clothes in the cabinet and start taking out my flipflops and sun shades and shorts, let me write about one of my most unforgettable experiences so far! They say Norwegians are born with skis. That is almost true for all Norwegians. 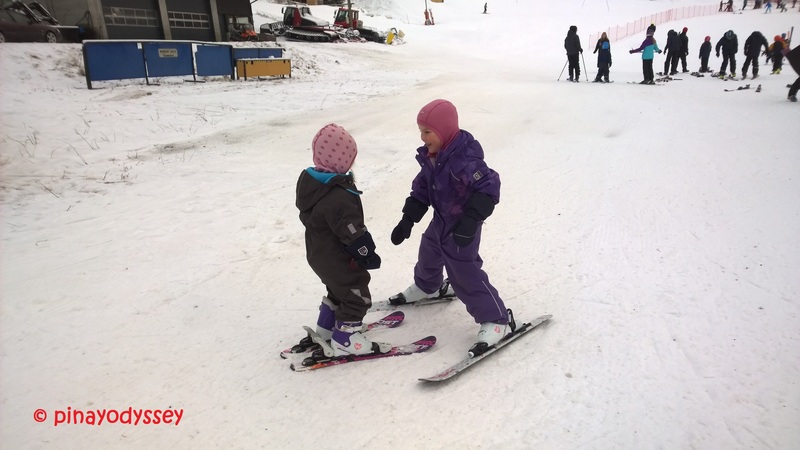 I was witness to 3 year olds skiing down big slopes in the Norwegian mountains! My host family is not an exception. 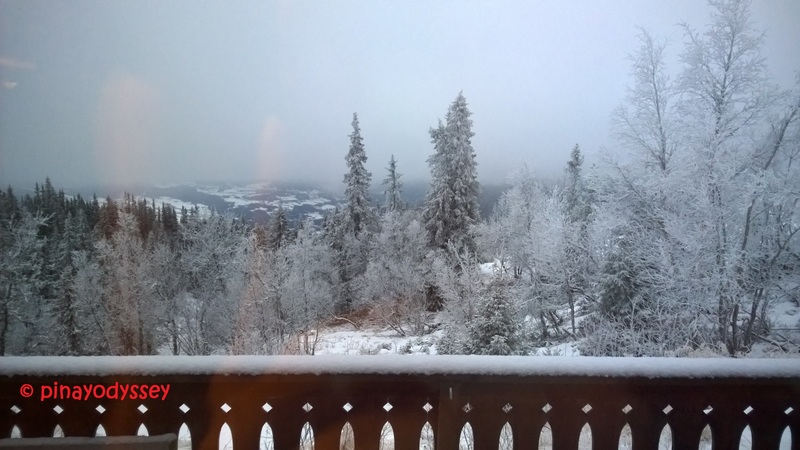 They thoughtfully took me with them to Valdres, a beautiful, beautiful region in the Oppland county in Norway last December, during the week before New Year. 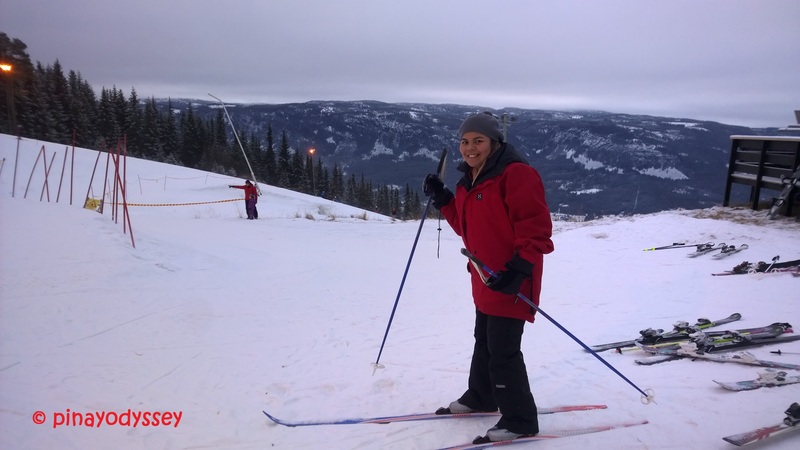 I was super thrilled to experience skiing for the first time ever! 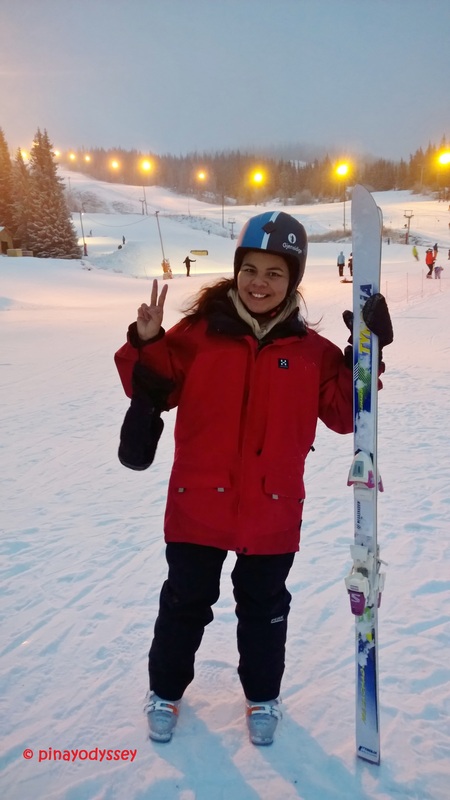 I have lived in Scandinavia but had never experienced skiing due to several factors, namely: 1.) Denmark was flat, and 2.) my previous host families, all three of them, never invited me to ski. In fairness to my first host family, they invited me to enjoy summer with them in Cyprus. But due to relationship conflicts, Cyprus remains in my bucket list to this day. 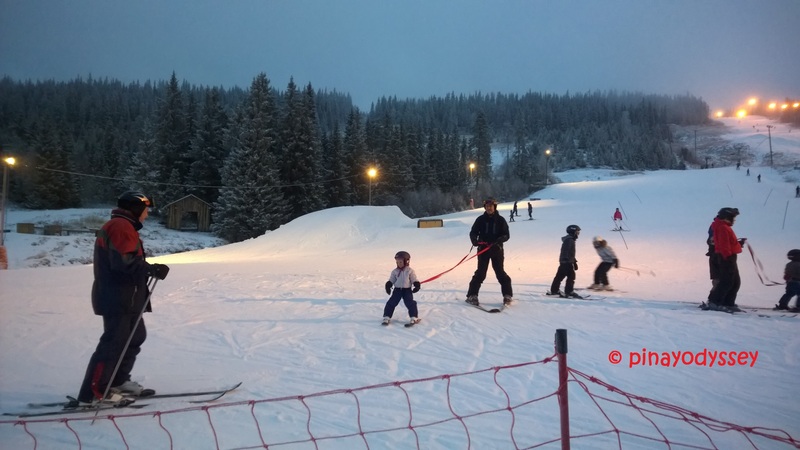 My second host family went skiing during winter of 2014, but the baby and I stayed at home (because the baby was only a few months old and cannot go rolling down the snowy mountains?). 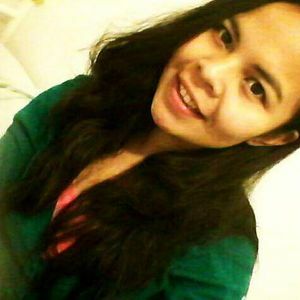 And my third hosts went to their cabin by the beach in southern Denmark during the winter that I spent with them (2015). Anyway, there’s a perfect time for everything! 😉 Luckily, my Norwegian hosts often consider tagging me along during their trips. That’s a great way for me to experience the country and to learn more of their culture. 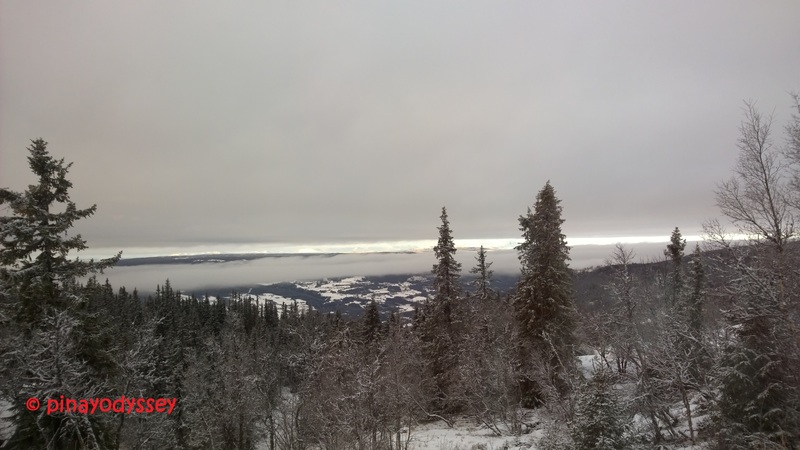 Driving from Bærum to Valdres takes about 3-4 hours. 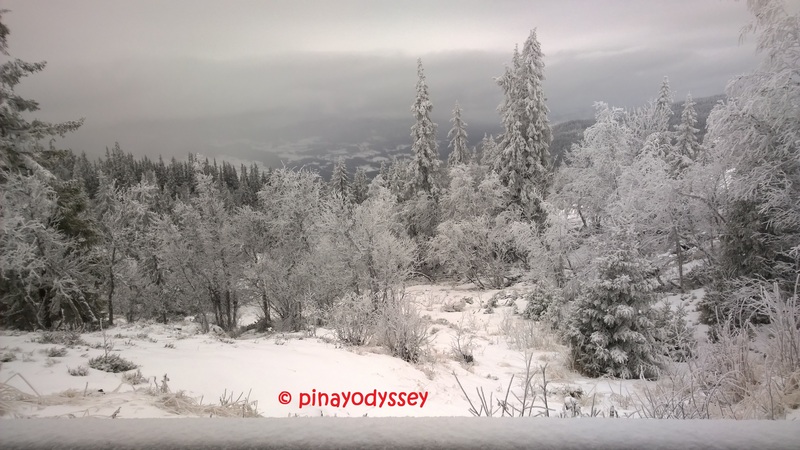 We left very early in the morning, and there wasn’t much to see on the way except for the white wilderness so I just rested myself and waited for the engine to come into complete halt. At around noon time, we reached the grandparents’ big cabin located not very far from Valdres Alpinski Senter. I couldn’t help but be amazed by the scenery outside the window! At first, I thought there was a huge lake in the distant. But later on, the sea of clouds cleared up and voila! A valley! 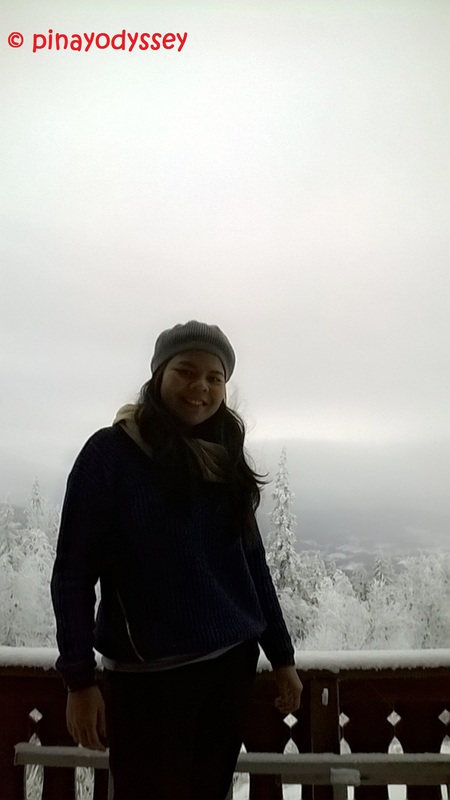 I was literally in winter wonderland! 😀 We didn’t waste time. We jumped into our skiing suits — mine was borrowed from grandma and hostmom, so they’re a little big for me. But they’re definitely warm! 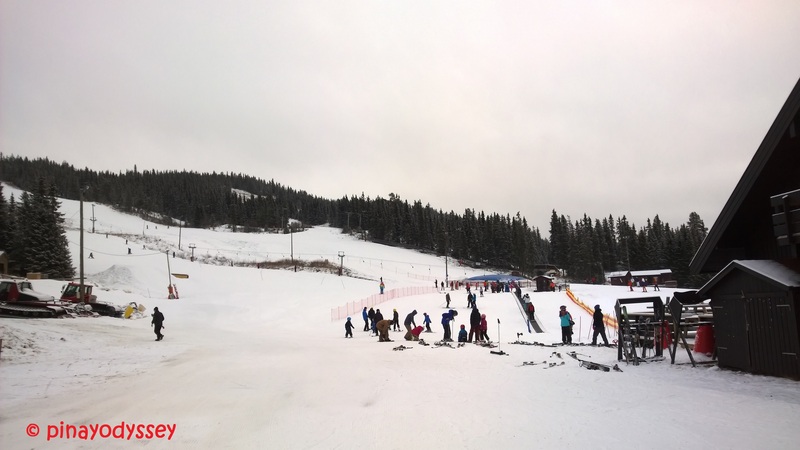 The ski center is one of the region’s biggest alpine center, and boasts 4 lifts and 11 slopes with different levels of difficulty. 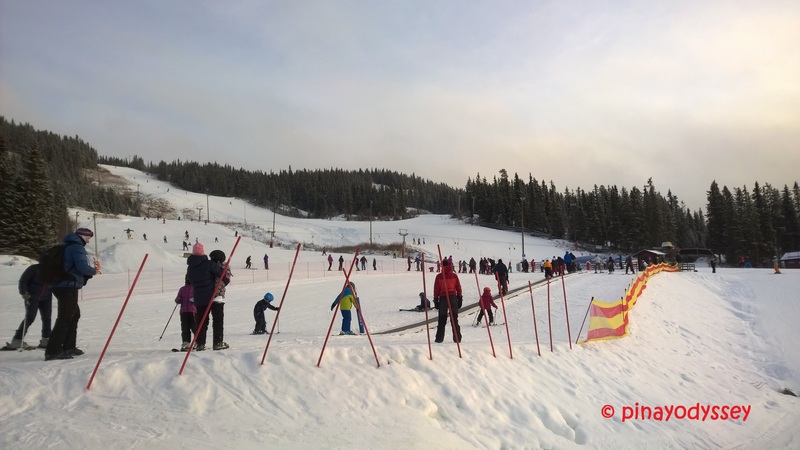 There are different types of skiing, and the best for beginners would be cross-country skiing. It took me quite a while to differentiate them because they all seem similar to me — skiing, duh. 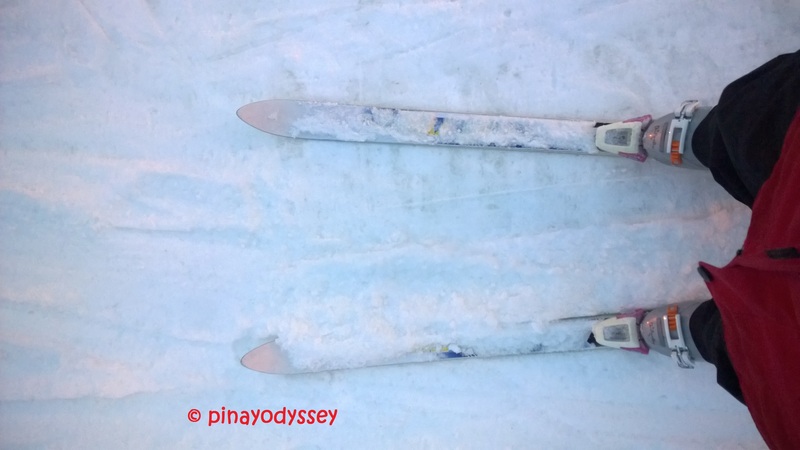 But cross-country is when you go on milder terrains, with slimmer skis and with help from a pair of sticks. Could hardly stand on my own! 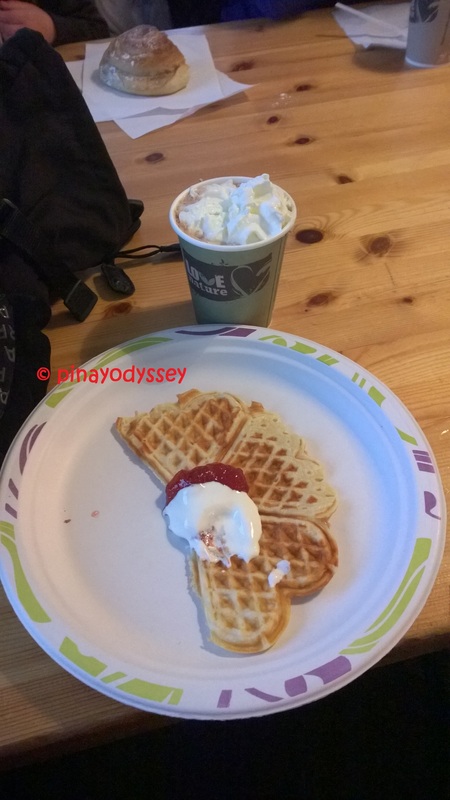 If you get tired, you won’t feel an inch of guilt if you indulge in hot coco and waffle! I’m 101% sure you’d burn enough calories just by trying to stand on your skis. Aside from waffles, I also got to taste one of Norway’s worst food: the rakfisk. It tasted okay, but the smell is comparable to a dozen old-aged fart. 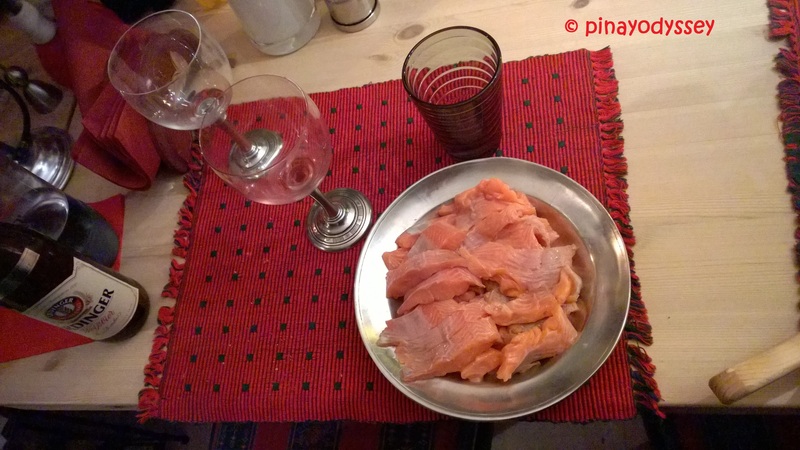 hehe Rakfisk is fermented fish in salt and water, preserved for many months or even a year. This is what the Vikings ate in ancient times. 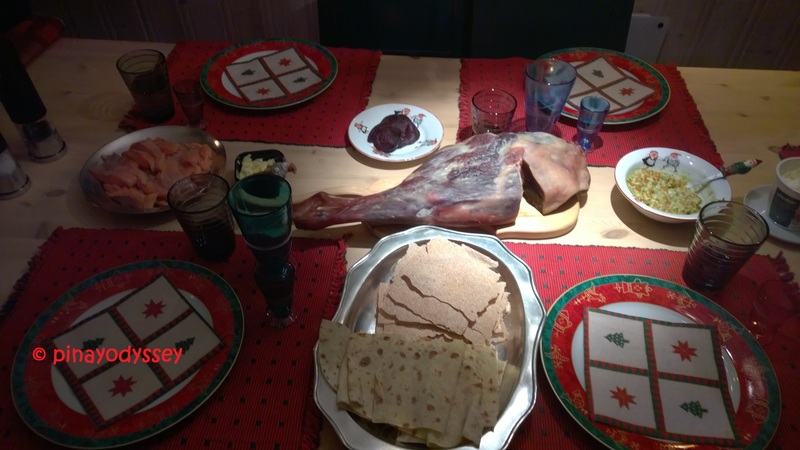 Exotic food like this is now a rarity in Norway, and interestingly, they’re costly. 😉 There was also dried whale, smoked lamb, and ox’s tongue on the table. Help yourself! That’s it, pansit! 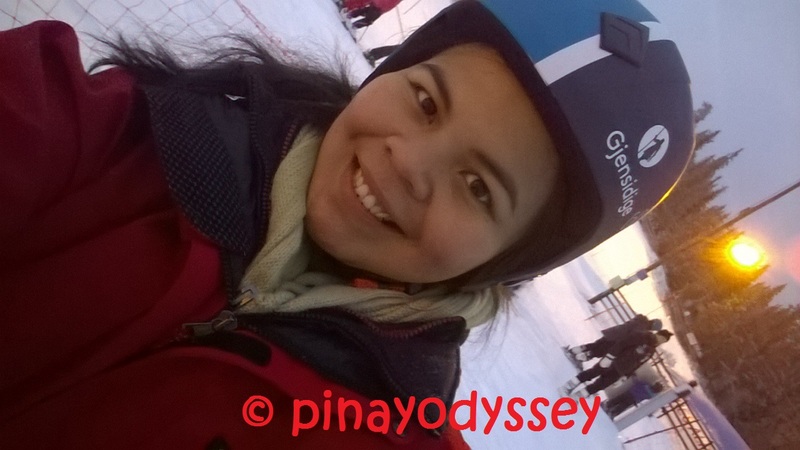 A Pinay on skis! Couldn’t be any luckier. I didn’t just experience snow.. I stood on skis. *achievement unlocked* Will I do it again? Probably. It takes being born in these cold climate to really get used to the winter, if I may say. 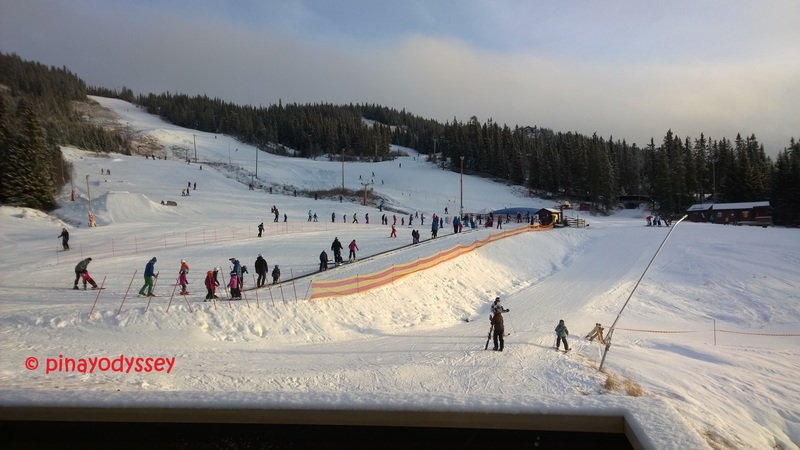 Skiing looks fun!! I’m hoping to cross that (and see snow) off my bucket list soon! It must be awesome living with a host family since you really get to experience the way they live, rather than staying in a hotel. Plus it saves you some money too! That’s totally true! 🙂 I’m really enjoying my stay here in Norway. I’m so jealous!!! I haven’t tried skiing, and this must be very great! I should totally experience that once I’m in my 20s! 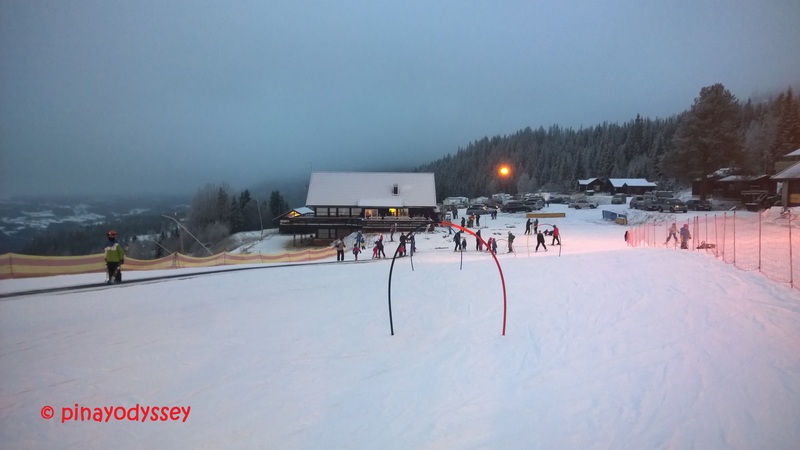 Ooooh this reminds me of my first (and most probably last) skiing experience as well! 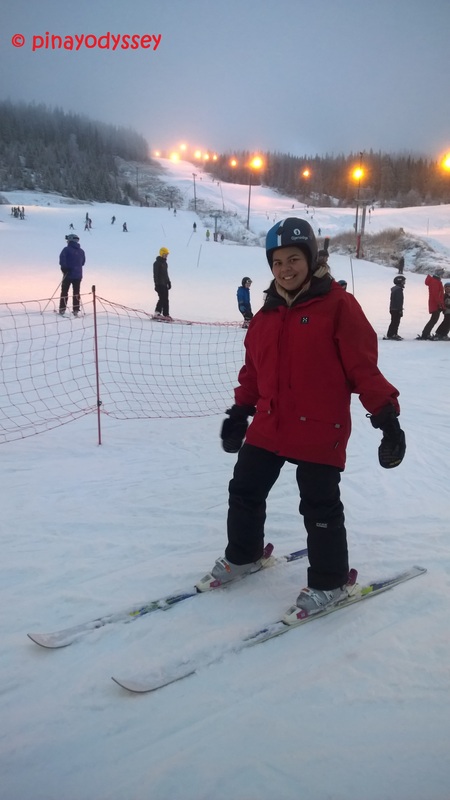 I was frkn sore the next day but I’m glad about it cos I can finally say I’ve skied! Awesome view! Wow! I’m quite jealous. 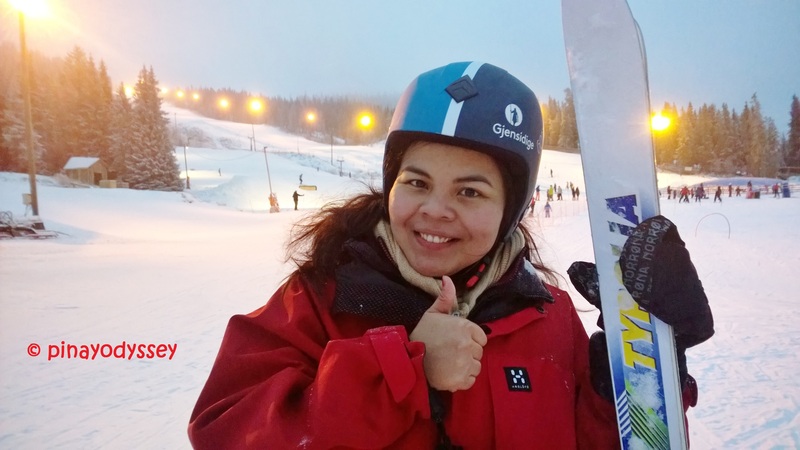 I enjoyed watching your video and makes me want to go skiing too. 🙂 How much did you pay to go skiing, if I may ask? So how much is a serving of Norway’s Rasfisk? Looks like you had a great time playing on the snow. 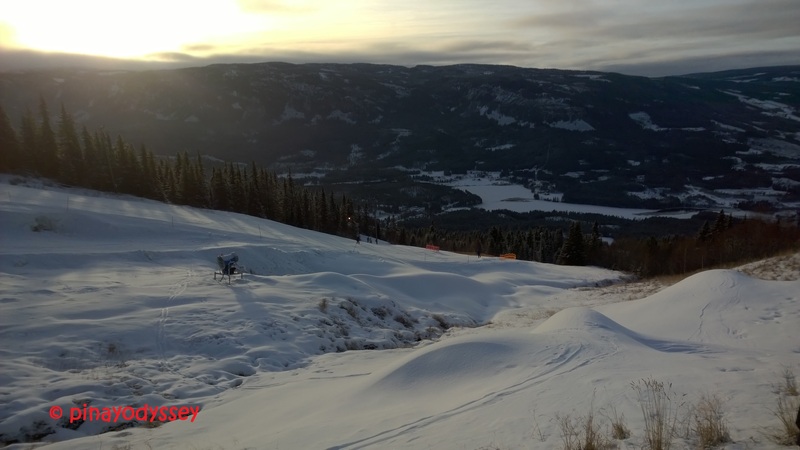 The scenery while skiing is enticing too. Hi Karen! Well, a kilo is about 300-500NOK, depending on the amount of time it is preserved. Thanks for dropping by! Wow! the place is so picturesque and when I saw the video it was almost like seeing a postcard. 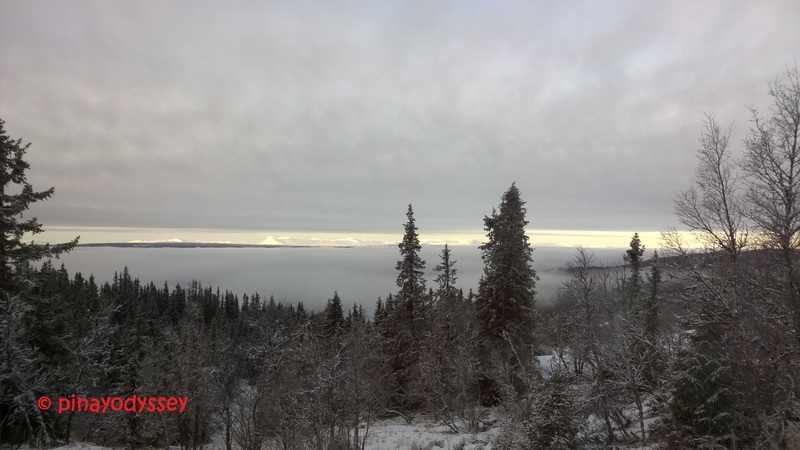 I went to Abisko(Sweden) last November and the landscape looks pretty similar. That was such an amazing experience. Would love to try it one day, but I’m not good with balance 😦 This is added on my bucket list! That rakfish is really intriguing.. does it tastes like Sushi but only saltier? thanks for sharin your wonderful adventure with us!